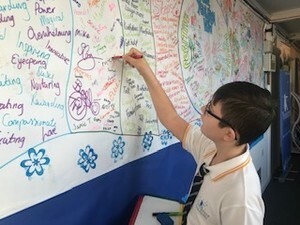 At Venturers' Academy we have been working hard on initiatives that will take us towards our Eco Schools award. As many of you know, we achieved the Bronze award in July and we are now close to applying for our Silver award. The Eco Award relates to Article 29 in the Rights of a Child 'I have the right to an education which develops my personality, respect for others' rights and the environment'. 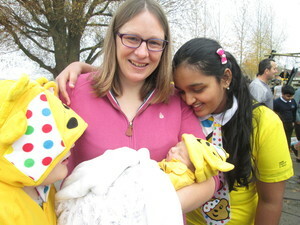 The Eco Venturers' Group currently consists of 15 children from Toucan Class up to Brunel Class and 8 Members of staff. We meet at least once a term to talk about things that are going well at the academy and how we can make our academy even more Eco-friendly. Last year the team decided that the key areas of focus at Venturers' Academy are Energy, Waste and Global Perspectives. 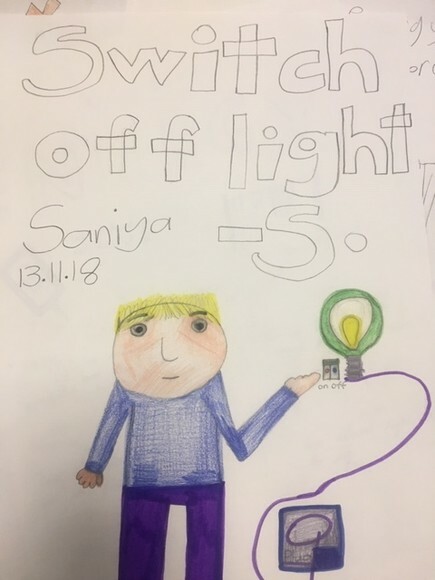 The academy took part in Switch Off Fortnight in November 2018 where the students made posters to promote the fact that if a room is empty then the lights need to be turned off! It was great to see everyone becoming energy monitors and going around the academy turning off items that were wasting electricity. 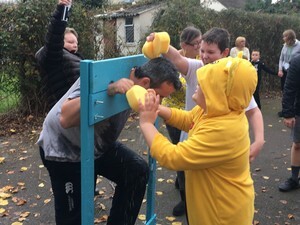 The academy has also taken part in fundraising events including Children in Need and Comic Relief, both events build on students understanding and awareness of the fact that there are children in the world that are not as fortunate as us. 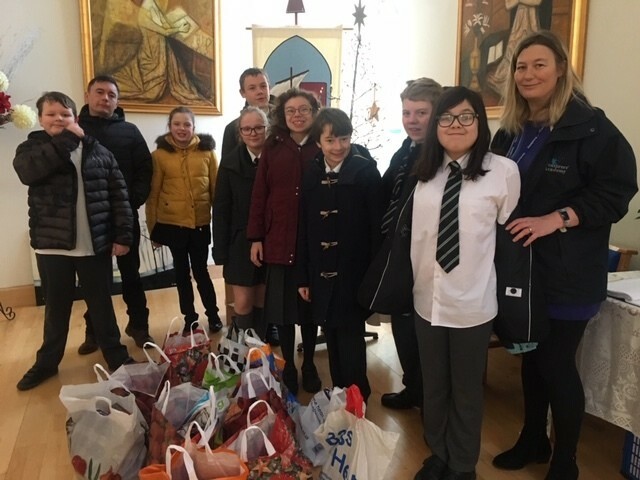 In December 2018, secondary students from Brunel decided to get involved with the local food bank in the community and help collect items for disadvantaged families on the run up to Christmas. The students really enjoyed this venture and this is an ongoing initiative. This week (25 - 29 March), the academy joined together for Waste Week. Each class has been doing some activities that relate to waste or recycling - some have been junk modelling, some have been sorting different waste into the correct bins and others have been singing songs to help them think about ways to increase their waste awareness. The Eco Venturers' Group have introduced recycling bins into the school hall and the staff room. There are bins for plastic, card and mixed recycling. students have been doing a great job at helping reduce the amount of waste that we create and minimising the amount that will end up in landfill. They have even told teachers off for forgetting to recycle their waste. A focus on our Plastic Waste! The main focus of Waste Week this year was plastic waste and this is something that the secondary classes have been learning about over the last few terms - they have been looking at the damage that plastic pollution is causing to our world and thinking about how we can improve things. Over the next few months, students will be monitoring what a difference the recycling bins have on reducing the amount of landfill waste produced. Secondary student's in Active Enterprise classes have began an Eco Venturer initiative. Here students are surveying how many worms can be found on the academy top field beneath our feet. Students will be looking in to the declining bird population in Britain, linking this with food source availability, climate change and the problems of plastic pollution. Weeks like Waste Week are vital for raising the awareness of our future generations of this massive real-life issue and to equip them with simple ways to change their habits and have a positive impact on our environment. 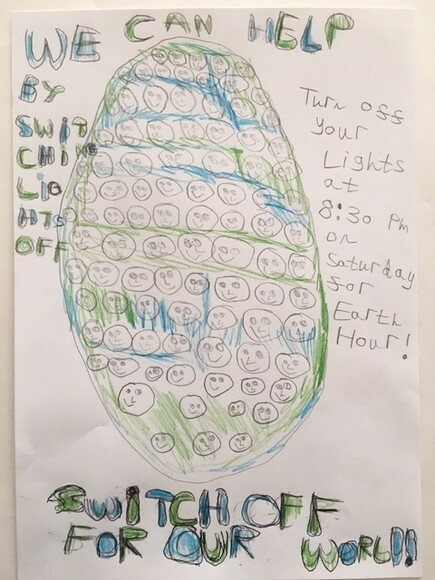 Student's are next looking forward to taking part in Earth Hour, which is recognised globally on Saturday 30th March between 8:30pm and 9:30pm. 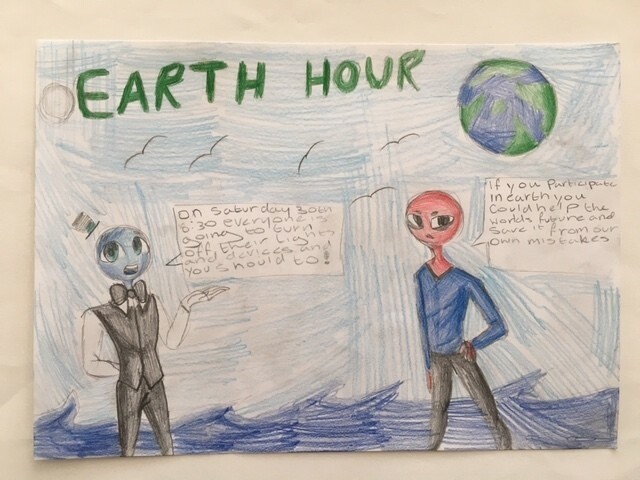 In Spiritual, Moral, Social and Cultural classes (SMSC) secondary students have been learning about Earth Hour and how they can get involved. 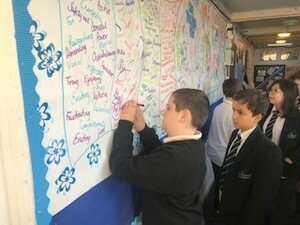 Students have written down different ideas around conserving energy and helping to make the environment and planet a better place. Join the global movement this Earth Hour – switch off your lights and be part of the change. The world’s biggest landmarks - such as the Sydney Opera House, Empire State Building, the Eiffel Tower, Buckingham Palace and Edinburgh Castle - will all switch off their lights as a visual display of their commitment to this vital cause. Show your support!